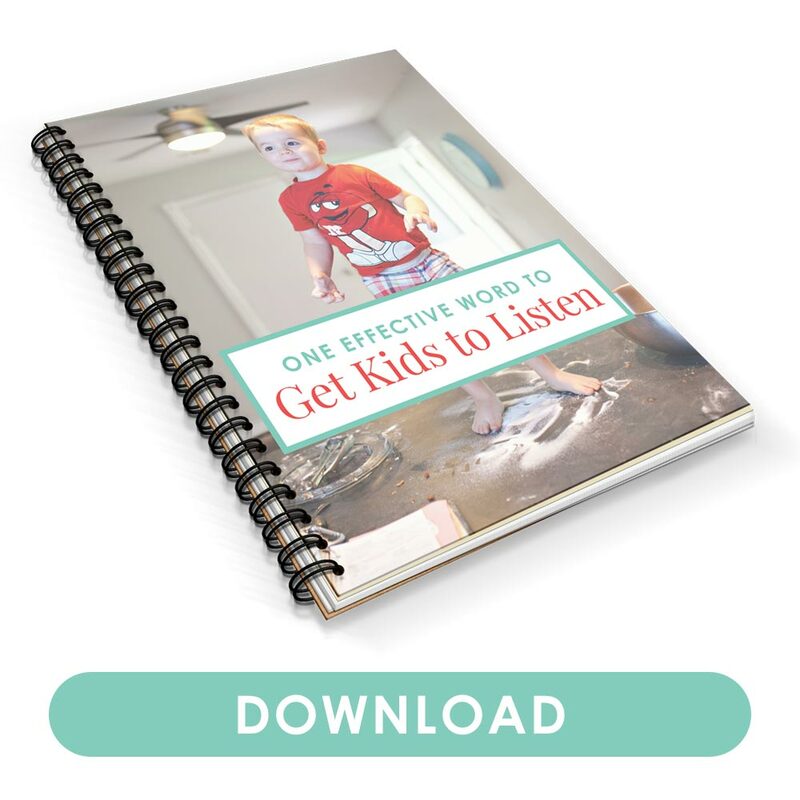 Tired of the disrespectful way your child talks back to you? Learn what to do about disrespectful children and how to rebuild your relationship. But after a while, that stage can get out of hand. Kids can be disrespectful, no matter how many times we’ve tried to break through. And the attitude sometimes stems from a major change in the home—not exactly something we could just erase. Regardless of the reason, it’s difficult for all people involved. Both parent and child seem to circle around one another with no sign of meeting halfway. It’s never too late to break through and improve our relationship with our kids. We can always do something to handle disrespectful behavior. Has your child yelled at you, closed the door, or mouthed something disrespectful? As much as it hurt, you might think it’s best to let it go. After all, you don’t want to fuel the fire with even more confrontation. It’s hard enough as it is. Except allowing your child to act rude only enables her to continue to do so. Yes, it’s good to pause. You don’t need to respond right away—it’s better to calm down first before blurting something you’ll regret or yell right back at her as a reaction. But once you’re both calm, address her behavior and set the standard of respectful communication, no matter the circumstances. She needs to be respectful, even if she had a bad day, or even if it’s her birthday. Don’t tolerate rudeness towards her siblings either, even when it seems like typical rivalry. Raise a child who knows it’s not normal to act disrespectfully. Get tips about how to stop sibling rivalry. 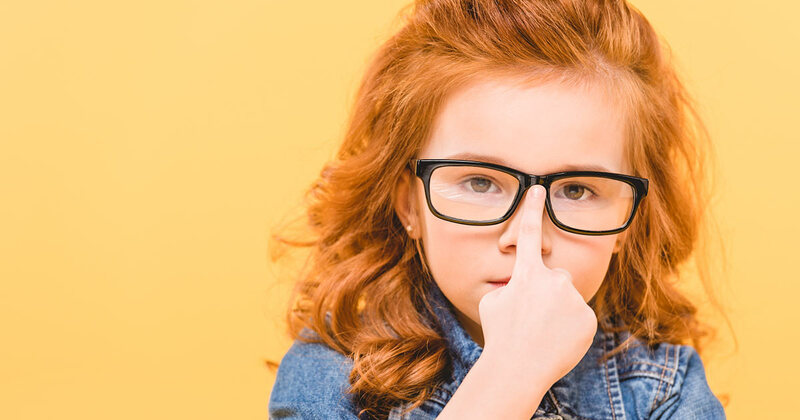 What’s the secret to curbing bad behavior? Ask your child why she’s upset. We miss this so often. When our kids act up, we react so quickly we forget to ask why they’re upset. Asking kids what’s bothering them forces us to empathize with their emotions. We can see why they’re upset and acting the way they are. Asking reassures your child you’re on the same—not opposing—side. You’re not trying to pick a fight. Instead, you’re reminding her you’re here to help. You’re in this together to tackle whatever is bothering her. Check out my top picks of children’s books about respect. The other day, I made a mistake. My six-year-old and I were cleaning the living room. He’d gotten upset because I said we could leave a few of the cars out. “It’s mid-day, and your brothers would play with them anyway after nap,” I tried to tell him. He said words and mimicked attitude I know he could’ve only picked up from me. And I was reminded how important it is to model the behavior we want to see in our kids. We’ll never be perfect, but the more aware we are of how we behave, the less likely we’ll disrespect our kids. Ask yourself, Would I want my kids to say this? If the answer is no, be careful about saying them yourself. Because one day, either out of habit or because she feels she has permission to, your child will say those disrespectful things right back. Let’s say your kids were playing trains together, except your younger one keeps knocking the tracks down, even by accident. It happened so many times you were expecting your older child to blow up and say something mean. But she didn’t. She responded with patience and rebuilt the tracks. She even brushed it off and treated her brother with respect. Look for these moments so you can praise your child for her behavior. It’s much easier to praise her for the times she’s respectful than it is to discipline her when she’s not. We sometimes mistake disrespect with disagreement. We think if a child doesn’t do what she’s asked to do, then she must be disrespecting her parents. But kids have a right to disagree—they just have to do it with respect. You can even encourage them to disagree and praise their knack for questioning you, but they can’t insult, yell or treat people with disrespect just because they don’t agree. And if your child blurts something disrespectful, show her an appropriate way to say it. First, acknowledge it’s fine to disagree with you. Then, suggest phrases to say instead of what she had just said. Disrespectful communication can strain any parent-child relationship. You’re not able to enjoy parenthood as much as you want to. But it’s not hopeless, no matter how much you struggle with your child or how long it seems to have been going on. Set high standards of how you want your child to behave—she’ll meet your expectations, both high and low. Setting low expectations or assuming this is how she behaves will lead to misbehavior. But setting high expectations encourages her to meet them, no matter how far-fetched they may seem to you. This means not tolerating rudeness and disagreeing with respect. Instead, it means asking what’s bothering her, and modeling the behavior you want to see. 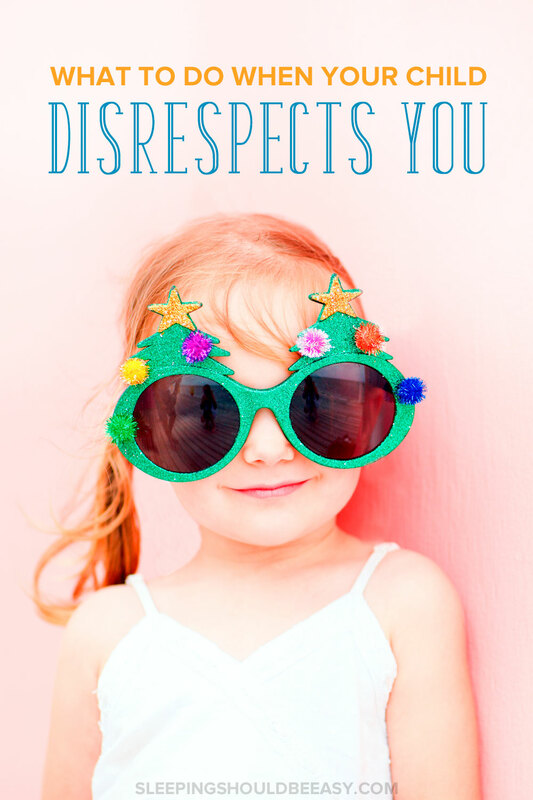 Dealing with disrespectful children isn’t just about making your day easier or more pleasant, or even to get your kids to do as they’re asked. Teaching respect strengthens your relationship with your child, which encourages even more respectful communication on either side. Tell me in the comments: What is your biggest struggle with disrespectful children? Des was no threenanger but he’s fast becoming a fournager, and it’s very strange indeed! I definitely don’t tolerate it. I have a zero tolerance policy! The problem is it being different when he’s with his dad or grandparents. I’m a big fan of praising the respectful times. It’s definitely a challenge when other caregivers aren’t consistent! Then you also feel like the “bad guy” for sticking to your guns. *Sigh* We are constantly trying to remind our oldest that she needs to watch her tone of voice. Often she sounds like she’s being rude, even when she’s not trying to be. Let’s just say it’s resulted in some embarrassing situations. For our kids, it seems like a combination of praising good behavior and being consistent with consequences for bad behavior works best. That’s interesting that it’s all in the tone of voice, too. That’s good though you acknowledge she’s not purposefully being rude, but to be mindful that she might be coming off as such. Modeling behavior is so hard to do sometimes but so important. Too many times now my kids have said or done something I don’t like, and I know exactly where they learned it… me! Parenting is hard! Exactly, Emily! It’s so cringe-worthy to hear a phrase you know they could’ve only picked up from you! How do I get my 15 Y.O to finish his tasks he’s already began,yet, doesn’t desire to finish, whether its school projects or chores. How do I get him to finish? Hi there, thanks for your question! At 15-years-old, many kids this age desire autonomy. I would switch it around and give him responsibilities with high expectations of finishing them. Then, if he isn’t willing to finish them or do a good job, don’t “save” him from the consequences and allow him to experience them instead. For instance, if he doesn’t finish a school project, let him face his teacher and the consequences of not turning in an assignment. 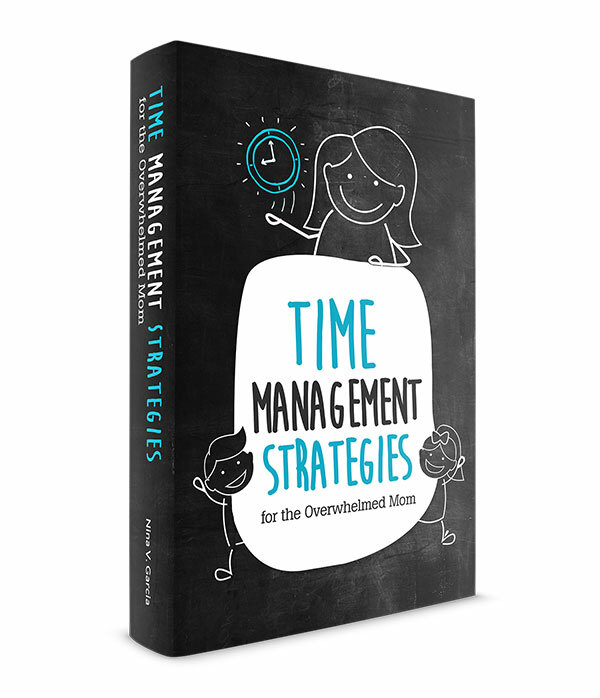 Or let him know that not finishing the project shows you that he isn’t responsible enough to handle school AND other things that take up his time, such as a cell phone or activities, and that you’d need to confiscate those other activities to make time for school. If he doesn’t finish a chore like making his bed or washing dishes, don’t make the bed for him or wash the dishes. If he wants to eat a meal and there are no clean dishes around, he’ll have to wash his own. The idea is to give him responsibilities and the expectations that he’ll finish them. If he doesn’t, you also have to allow him to fail and experience the consequences when he doesn’t contribute or work hard.